When you look out your windows, is your yard inviting or do you want to close the blinds? You don’t need extensive acreage to create an outdoor space that serves as a valuable extension of your home. These guides can help you tailor your landscaping to your environment and build entertaining and relaxation areas that could make you the envy of your neighborhood. 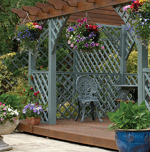 Shading your deck or patio is essential for outdoor comfort. Review ideas and advice for selecting and installing shading according to your home's architecture, your style preferences, and your local climate. Adding or improving decks and patios can expand your living space to the outdoors. Whether constructed of wood, concrete, or synthetics made to resemble natural materials, this guide can help you find the best sealants and finishes appropriate for your new outdoor space. 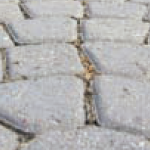 Complete your landscape using stone, pavers, bricks, or fencing. This guide explains how to accent and enhance outdoor living areas using hardscape materials. 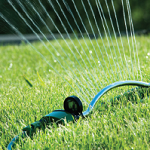 Learn how to select and install water-conserving automatic sprinklers and drip systems. Your trees, plants, and lawn look their best when they are properly hydrated! Do you and your guests find yourselves outdoors more often than inside? Then use this guide to outdoor living areas to help with designing, constructing, and decorating great outdoor spaces for relaxing and entertaining. 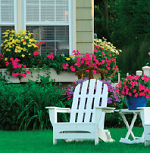 Your lawn and landscaping presents a backdrop for outdoor living. 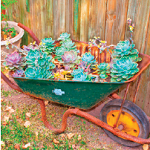 Choosing and placing climate-appropriate trees, shrubs, turf grass, and ground covers add beauty and function to your yard. Use our guides to get started. This guide assists with selecting and installing outdoor appliances including grills, range tops, and refrigerators based on your budget and project design. 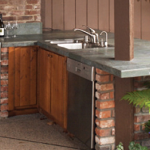 Expand your grilling area into a complete outdoor kitchen. Learn how to design a functional and attractive area for preparing and enjoying food and refreshments outdoors. Whether you're installing an elaborate koi pond or want a simple reflective pool near your patio, this guide can help you pick the right water feature for your backyard. No backyard? 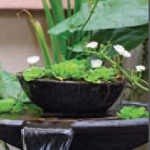 You can still find compact and portable water features suitable for patios and decks.